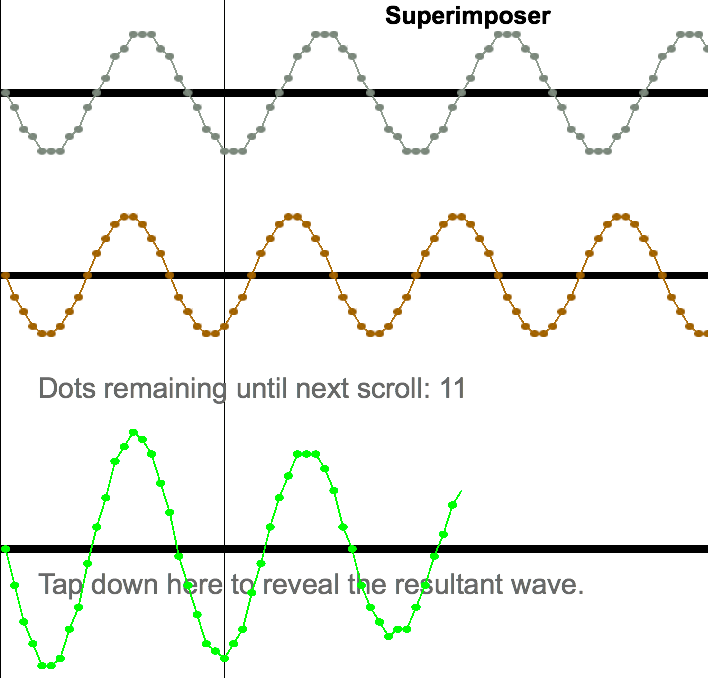 In this HTML5 simulation, you are presented with two waves of slightly different frequency. What happens when they are superimposed with each other? 1. When does the resultant wave have a large negative value? Why? 2. When does the resultant wave have a large positive value? Why? 3. When does the amplitude of the resultant wave diminish to near zero? Why? Use the guidelines and zoom functions to find out! We have used this simulation with our students to discuss the “beats” you hear when you play two tones of slightly different frequency. We have also used this simulation to introduce the idea of constructive and destructive interference in preparation for discussions of standing wave resonance in musical instruments.